Hi, Connie here with a scrapbook page using Anchors Aweigh and Farmhouse together, along with some of the new PowderPuff Chalk Inks. I love to mix and match the paper collections by Quick Quotes. 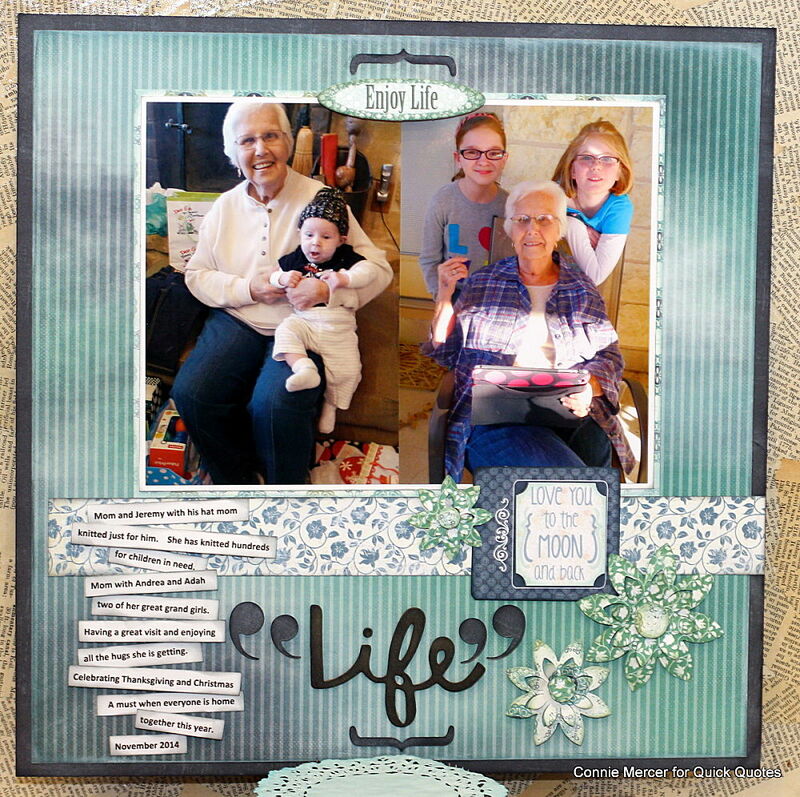 The papers are designed to work together and they do so well. 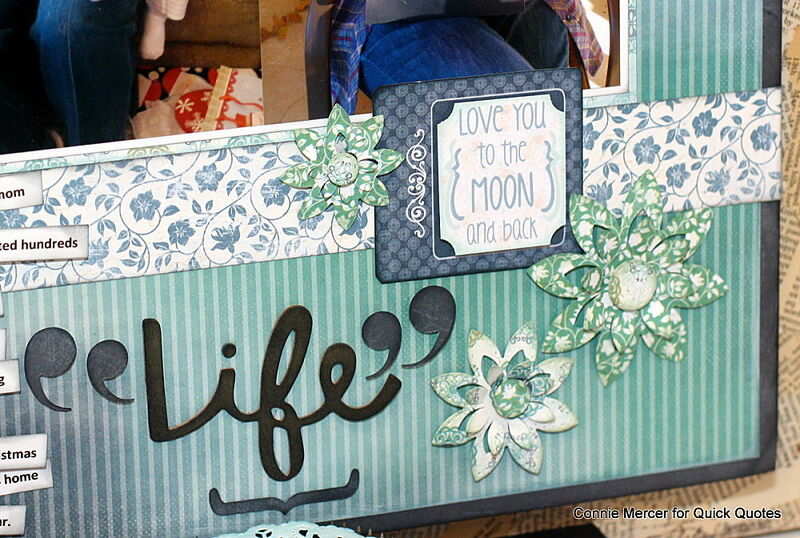 The PowderPuff Chalk inks by Quick Quotes cover chipboard so wonderfully, as you can see in the closeup below.